Sign the petition to tell the CEOs of Zara, H&M, and Forever 21 to stop exploiting people and harming our planet by buying low-quality goods from unethical suppliers! The fast fashion industry promotes cheaply made products that are "in style" for a single season, and then pushes out the next style as fast as the first. It is the second greatest pollution-causing industry on the planet  and a huge exploiter of women . The profitability of the fast fashion industry relies on low costs and high volume, so some companies take advantage of the more lenient regulations in China, India, and Indonesia to get their clothing made cheaply, regardless of the health and safety crisis it causes . They stoop to buying products from suppliers that employ children, expose their employees to poor working conditions, and pollute the environment . 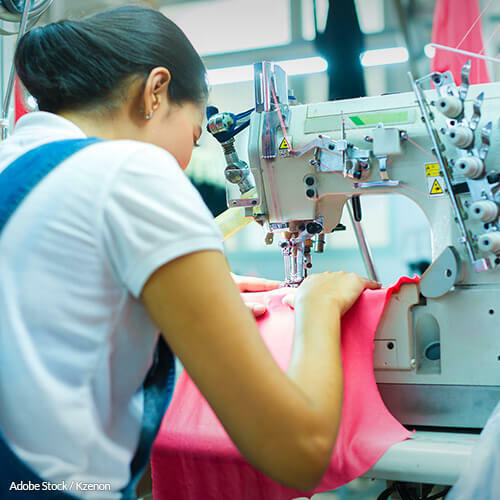 80% of textile workers around the world are 18 to 24 years old, and many are much younger . The majority of these workers make less than $3 per day, and the average sweatshop worker endures 14-hour work days . In some cases, entire families work from their one-room homes, spending every minute of daylight sewing and still live hand-to-mouth . The clothing industry is the largest worldwide employer of women, but fewer than 2% earn a living wage from their jobs . In many cases, the textiles these suppliers produce are treated with harsh chemicals, which can expose both workers and consumers to toxins and carcinogens. Lead, for example, is linked to high infertility rates, health concerns for pregnant women and unborn babies, and an increased risk of heart attack, stroke, and high blood pressure . Other carcinogens such as pesticides, insecticides, formaldehyde, and flame-retardants  are often present in garments, as well as toxins like mercury and arsenic . The air workers breathe and the water their communities drink is also tainted by the toxic chemicals used in the production process. Zara, H&M, and Forever 21 are the industry "giants" in fast fashion who come out with as many as 18 new collections per year . A 2017 report by the Changing Markets Foundation found that H&M was purchasing from eight viscose suppliers that were guilty of pollution, while Zara was purchasing from four such suppliers . Forever 21 still sells products that contain more than the legal limit of lead . Some of these fashion giants are working with suppliers to make the production process friendlier to people and the environment, but the problem on the whole remains unchecked. H&M, for example, appears to be turning things around with a fancy clothing recycling program, but most of the recycled items still end up in landfills . These companies must change their ways! While we appreciate the efforts you have put forth to make your suppliers' production processes more sustainable, we also recognize that the quick succession of styles in the fast fashion industry coupled with the pollution-causing processes used to produce them continues to harm your customers and the people who live and work where these products are made, particularly those who are employed by your suppliers. The fast fashion industry is causing a major pollution crisis and violating human rights. The world needs you to commit to higher standards. We need you to make a move toward a business plan that nixes the toxic chemicals, the unfair wages, the child labor. We demand that you ask your suppliers to raise their standards for waste, chemical use, and employee treatment and cease to purchase products from suppliers who refuse to comply with those standards. That's 7,184 signatures! Let's keep the ball rolling.